Bank Asia is one of the leading banks of Bangladesh was commenced on 27th November, 1999. It was formed through some successful entrepreneurs and businessmen of Bangladesh with the objective of providing high quality banking services in the finance sector of the country along with taking part in the growth of the national economy. This is the only bank in the country has acquired approve to operate two foreign banks in Bangladesh, Muslim Commercial Bank, Pakistan and Nova Scotia, Canada. The bank focuses on the industrial, financial and commercial ties between Bangladesh and other countries through its business ventures and trade initiatives. Bank Asia is so proud with standing on the top rated banks in the country with it extensive business-network with conventional banking branches, offshore banking units, Islamic Windows, SME centers and agricultural branches, brokerage branches etc. And as a part of the commitment banking, it provides all modern along with value added banking services with the highest standard in the era of the globalization. 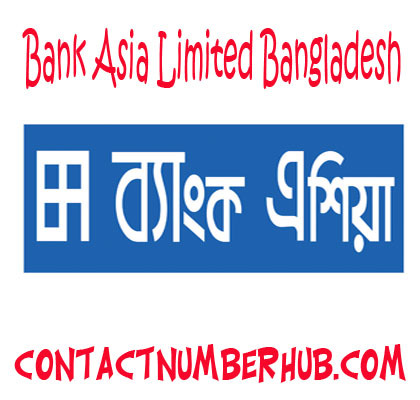 If you look for a branch of the Bank Asia, so Gulshan Dhaka branch might be the best choice. Here is the location, contact number, physical address, routing number, service hours, SWIFT code etc. of Bank Asia for your best conveniences. Note: Service hours in the branches many differ from the Gulshan and other offices without any prior notice of the respective bank.